Spend an afternoon in the sandy beaches then stay up late to see some mama sea turtles shimmy up the shore to lay their eggs. We are all about the turtles in Central America! And Nicaragua is one of the best places to see them. Every year, thousands of turtles slide up the sand to lay thousands of eggs that in a few months, hatch, letting thousands of little turtles make their way down to the waves. And if you head to this particular beach near San Juan Del Sur, you can watch it all happen. 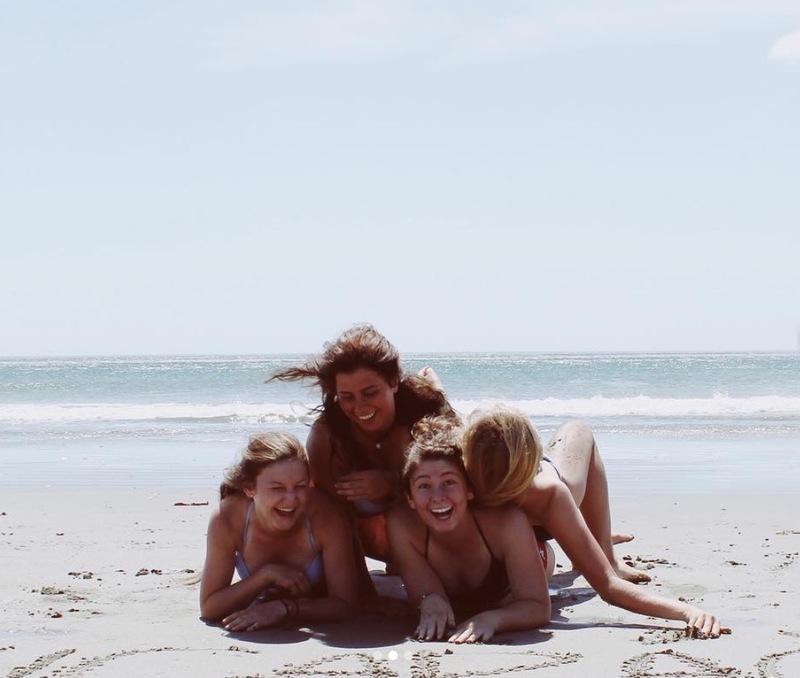 Luckily this beach is already one of our favorites for ILP volunteers and close enough that you can go hang out on the coast any weekend during your semester abroad! Needing a few more adventures to check out? This Central American Destination Guide is exactly what you’re looking for. 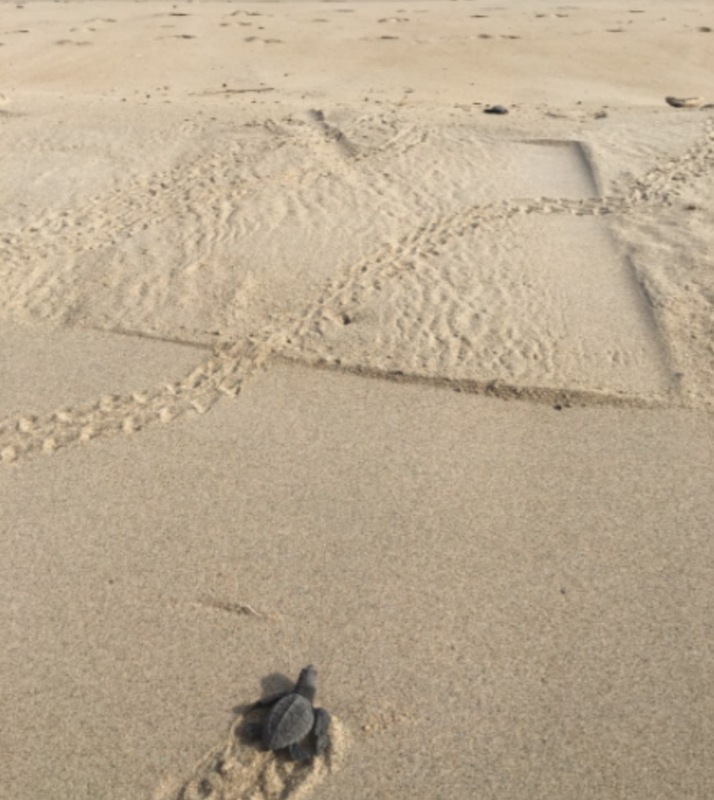 Head a few miles south of San Juan Del Sur, Nicaragua to find a protected beach where you can watch a few different kinds of turtles lay their eggs and see their cute baby turtles hatch about 50 days later. This is incredible: a few times a year, seriously thousands of turtles come up to the shore at the same time to lay their eggs. Not to brag, but Nicaragua’s one of the best spots for this once-in-a-lifetime experience since a few different kinds of turtles lay their eggs on this beach. Turtle fans, you can see Olive Ridleys, Hawksbill, Leatherback, and Green Sea Turtles if you come at the right time of the year. Olive Ridley’s only lay their eggs on this beach and just 6 others around the world. Not only are Olive Ridley’s particularly endangered, there are only a few spots in the world where you can see this happen: arribadas are spots where turtles come to lay their eggs en masse so the little cuties have a better chance of survival when they hatch and make their way to the ocean. This is that special beach you are looking for! The whole area is protected, so even though it’s an amazing beach to visit, it gets blocked off during turtle seasons so these turtle mamas can come safely lay their eggs (about 100 at a time, no joke). There are even Nicaraguan soldiers who help guard the beach until the turtles hatch to make sure poachers don’t come steal the eggs or the baby turtles. Timing is deal for our summer and fall semester groups who are volunteering with ILP. For our spring volunteers, you'll be arriving in Nicaragua at the tail end of the nesting season, but you might get lucky if you plan a trip to go one of the first weekends you arrive (just check if tours are still operating). The nesting happens from July to January (sometimes into February) and nesting happens at night. The turtles tend to come up from the ocean from 9:00 PM to 2:00 AM (or later). Ideally, you’ll want to go on a clear night so the moon can help light what you are seeing since you won’t be able to shine bright lights on the turtles. 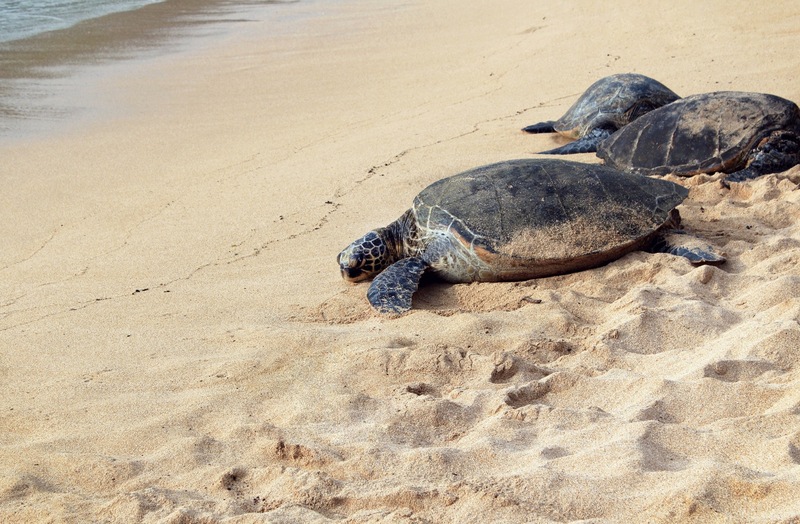 About 50 days after the eggs are laid, they hatch … so if you come in September and October, you may be able to see some turtles come lay their eggs, and some little hatchings crawl back to the ocean. This is absolutely something you should do with a tour. You’ll be set up with transportation from San Juan Del Sur, a little info on the turtles (some are run by biologists) and infrared lights so you can see what’s going on without disrupting the turtles. There are several out there, but we’re big fans of booking with Casa Oro. They have a $25 tour which includes transportation and the entrance fee to the reserve, plus a guide, which is a steal. Since it’s a little unpredictable when the turtles are actually going to come up and lay their eggs, you should go in with some realistic expectations. If the timing is right, you can see a few hundred turtles come, lay their eggs, then make their way back to the ocean. There are patterns that suggest that the largest swarm of turtles tend to come during the first and last phase of the month each month. However, nothing is guarenteed so just know that going in. Please be kind to the turtles you do see! Don’t shine bright lights (use the provided lights instead) and don’t get too close. Don’t pick up any baby turtles even to help them get into the ocean (even if a tour guide says it’s okay). These little guys are endangered and we want to respect their space. This beachy spot is your jumping off point to seeing turtles. It's a fun spot with more than a few beaches to choose from, plus a stunning viewpoint if you hike up to the Cristo de La Misericordia statue that overlooks the entire turquoise coastline. San Juan Del Sure is a favorite hang out for surfers and backpackers, and is just 20 km away from the Refugio De Vida Silvestre La Flor. And like we mentioned, it's the perfect weekend trip for ILP volunteers who live in Granada and are looking for a trip to the coast. We've already planned your trip to San Juan Del Sur here. Come hang out in Nicaragua! ILP volunteers call the colorful city of Granada home, spending part of their time teaching English to kids who can't afford to attend school, and part of their time exploring Nicaragua + other gems in Central America.